Underfloor Trunking Systems solutions incorporate a range of products for the distribution of power and data services, it is a coordinated set of containments that protect, segregate, contain, and route cables within a given environment. Cables and wires running within containment need to be protected from vermin, tripping, and accidental breakage. This can be achieved using appropriate cable management solutions. Cluttered wires that are run loosely within an environment are an eyesore. This could be resolved by resorting to appropriate cable management schemes that contain the wires, and restore order in such environments. Cable Management enables wires to be routed into inaccessible areas by innovative solutions such as the use of false floors. 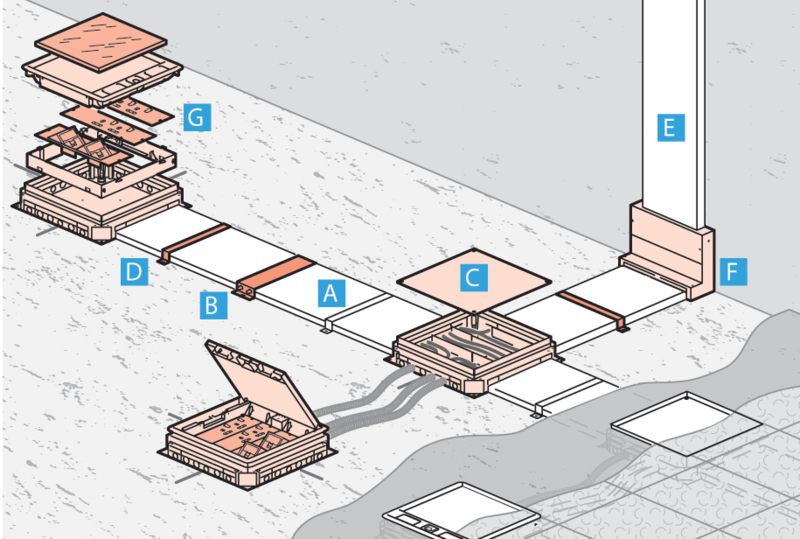 Open plan offices are serviced using floor distribution systems. 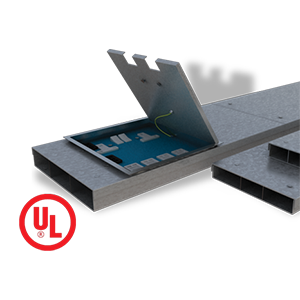 Flush floor trunking system combines robustness and reliability, allowing power and data distribution throughout concrete floors. 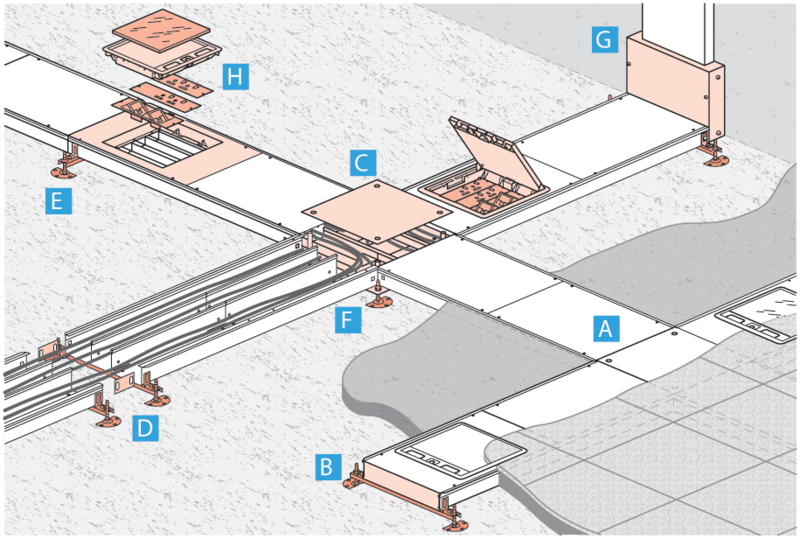 The system facilitates frequent maintenance operations or eventual changes of floor box locations. 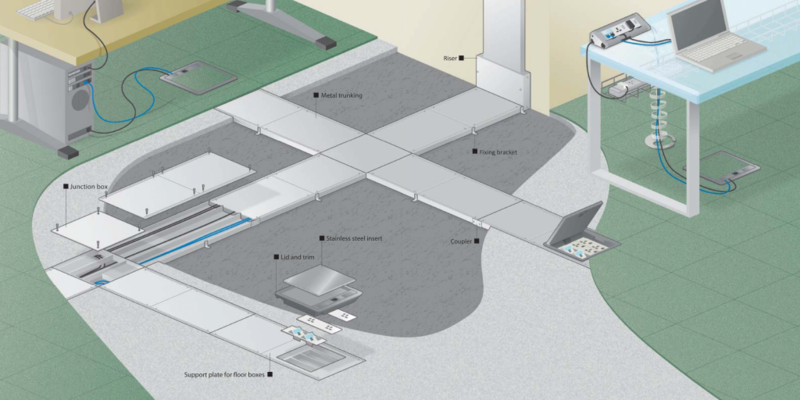 Different accessories ensure quick installation and perfect integration into the concrete floor. Screed metallic trunkings are a quick and easy way to install power and data distribution throughout screed floors. These systems are particularly robust and are designed to support superior loads. 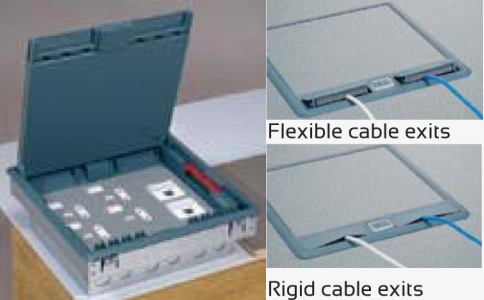 Junction boxes and risers allow easy access when installing cables or for extensions. 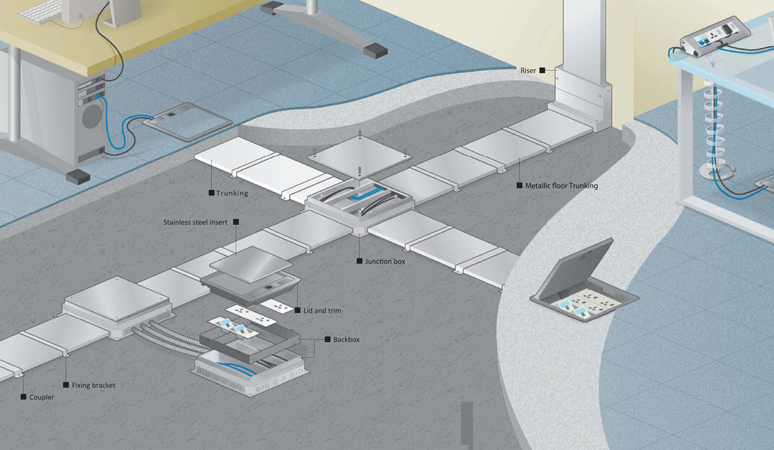 Different solutions for all your projects integrating raised access floor allow you to make well organised and functional offices and save time and money during installation or future reconfiguration. Our solutions have been designed for reliability, ease of installation and maximum flexibility.